Montel Williams earned his media celebrity status as a riveting Emmy Award® winning television personality and radio talk show host. He is a decorated naval officer, inspirational speaker, author, wellness entrepreneur and health advocate. Williams hosted The Montel Williams Show, a nationally syndicated talk show distributed by CBS Paramount Television, for 17 years, taping over 3,500 shows and interviewing more than 30,000 guests focusing on key social issues involving ordinary people coping with extraordinary circumstances. He received a Daytime Emmy® Award for Outstanding Talk Show Host; and later his show was nominated for Outstanding Talk Show two years in a row. February of 2010 when its parent company went out of business. Battling Multiple Sclerosis daily, Williams has built the Living Well with Montel brand, by incorporating life experience and the information he has accumulated through personal account and professional opinions. Williams developed the Living Well with Montel series of talkmercials. which focus on products that can help consumers live better physically, emotionally, financially and spiritually. The premier Living Well product, the Healthmaster Emulsifier, was launched in 2009. The Living Well line currently includes FUEL OF LIFE products, a potent superfoods drink mix and super vitamin pack (distributed by Europa Products, Inc) based on Williams daily regime as well as the Living Well Pressure Cooker, Ab Coaster and the Dog Pedic (to help your pet live well) all distributed by TriStar products, Inc. In November 2010 Williams launched the Living Well skincare line and the TravelSafe products line in partnership with Cinsay, Inc. through a new content driven web portal, www.montelnetwork.com. In January 2006, Williams became the national spokesman for the Partnership for Prescription Assistance (PPA), a patient assistance clearinghouse program that has matched over 6 million Americans to public and private patient assistance programs providing them with more than $13 billion dollars of free or nearly free prescriptions. Williams has been a prolific author of uplifting and practical books, of which four became bestsellers. They include Living Well Emotionally: Breakthrough to a Life of Happiness; Living Well: 21 Days to Transform Your Life, Supercharge Your Health, and Feel Spectacular; Climbing Higher; BodyChange; Life Lessons and Reflections; A Dozen Ways to Sunday: Stories of Hope and Courage; Mountain Get Out of My Way: Life Lessons and Learned Truths; and Practical Parenting. Williams enjoys acting and performs whenever his schedule permits. Over the past few years, viewers may have seen him on hit television programs including “All My Children,” “American Dreams” and “JAG.” Williams contributed to the long running dramatic series “Guiding Light” playing “Clayton Boudreau”, which landed him a nomination in 2009 for a NAACP Image Award for Outstanding Actor in a Television Series. He also starred in the critically acclaimed off-Broadway play The Exonerated. Williams starred and executive produced a prime time network series for CBS, The Education Of Matt Waters. Shortly after being diagnosed with MS in 1999, Williams established the Montel Williams MS Foundation to further the scientific study of MS, provide financial assistance to select organizations and institutions conducting research, raise national awareness, and educate the public. The MWMSF has granted over $1.5 million dollars to research and has supported a study done at the Karolinska Institute in Sweden, which discovered an MS gene. Williams began his professional career in the US Marine Corps in 1974 when he enlisted in his hometown of Baltimore after graduating high school. After six months, he was meritoriously promoted twice, and in 1975, became the first black Marine selected to the Naval Academy Prep School in Newport, Rhode Island to then go on to graduate from the United States Naval Academy. He graduated with a degree in general engineering and a minor in international security affairs. He then went on to study Mandarin Chinese and Russian language at the Defense Language Institute He was then selected as special duty intelligence officer, specializing in cryptology. Do you want to hire Montel Williams? Directly request a quote. In 48 hours we can send you the availability of Montel Williams If you would like to book Montel Williams, Entertainment Booking Agency is the right place. We will offer you the best price and contact the management or we directly contact Montel Williams. For corporate appearances or speaking engagements you can contact our agents and the will help you true the process. Tags: hire Montel Williams, Montel Williams booking, book Montel Williams, Montel Williams appearances, find more information on booking Montel Williams for appearances, Montel Williams speaking engagements, Montel Williams endorsements/spokesperson, Montel Williams appearance fees, Montel Williams booking agency contact info, biography of Montel Williams, Contact an artist booking talent agent find a speakers bureau that can book Montel Williams, speaker booking agency for Montel Williams, Montel Williams booking agency, Montel Williams booking for corporate event. EBA is one of the biggest entertainment booking agencies in the World. We book hundreds of celebrities, artist, athletes and speakers in a year. Important to know is that we are not claiming to be the management of Montel Williams. 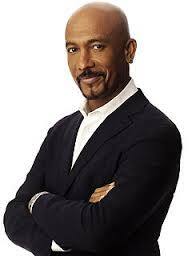 We are not the official agent for Montel Williams. Companies from around the globe book these artists and speakers true our company be course we have one of the biggest networks and we always have direct contact with the artist or the management. We help you to find the right celebrities for your corporate of private events. Please contact one of our agents to get free advice and we will help to get the world-famous artist on your party.